Ok we were talking about taking a leap… A leap? More like a Quantum Leap… and again for those who know me well falling down is one of my specialties… Apparently I had to change track but to what? Most probably to the opposite directions hmmm but how can I do that? Its hard.. no? What was my next move? Someone (actually my therapist) asked once why do you want to move to NYC? 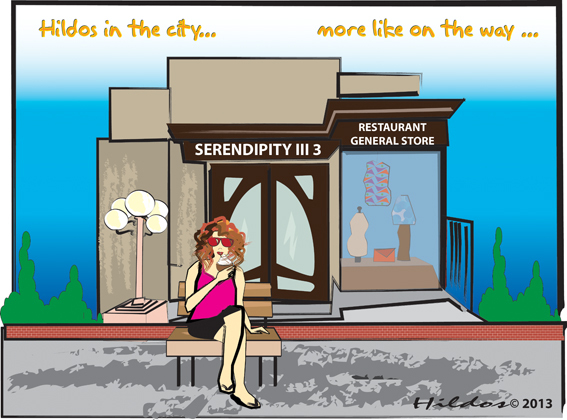 I roamed the city for a while did some tourism, ate a hot dog, Central Park, the MET, MOMA, Lion King, Broadway, Meat Packing District, Apple store and of course Serendipity…You have to try the Frozen Hot Chocolate its DIVINE, …. They say whenever you are in NYC you will bump into a celebrity well I DID !! Funny story actually because I scared the hell out of him and then pissed him off. So I ran towards him shouting: GAD GAD GAD!!!! So enough joking… Wandering back to my hotel, I was thinking on how much in 5 days all of us took away and later on restructured our lives, our habits, our path,…as my friend BAM sent me the other day ‘MG provided us with the tools to do something great’ and the funny thing like Jag says he doesn’t even know it !! So does it all start with a thought? Is it enough though? Isn’t there some energy that helps out? Hmm what if it starts with a thought should it be and then is it worth the struggle? Take the road less taken? Let us start first with the thought what should it be? hmmm …. Funny thing is, that on the same day I received The Rotary Centennial Book and guess who designed the cover? Of course MG!! … So was it destined or planned?